AOD uses its expertise on global design cultures in curating exhibition that shares new knowledge on Italy’s creative legacy and its influence on national identity and economy. This was as part of the ‘Italian Week’ held in Sri Lanka, where the Embassy recognised ‘design’ as one of the most important facets of its nation to focus on. This is considering the influence that design has had in establishing a thriving sector of creative industries in Italy that has had a massive impact on the nation’s overall economy. The Embassy selected AOD as its official collaborator for this, based on the educator’s expertise in global design cultures and building great networks with international design. 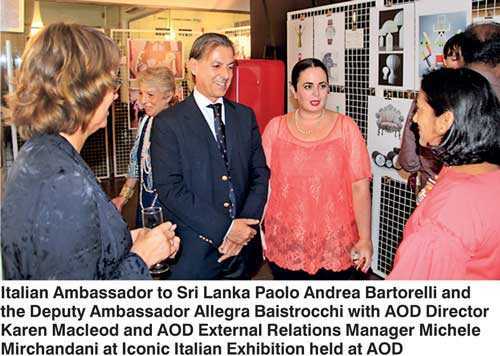 The resulting collaboration came to life as the ‘Iconic Italian Design Exhibition’ which was launched at AOD in Colombo, attended by a diverse audience including senior diplomats, entrepreneurs, designers, architects, academics as well as young students. Among the key dignitaries present at the event were Italian Ambassador to Sri Lanka, Paolo Andrea Bartorelli, the Deputy Ambassador, Allegra Baistrocchi, and the AOD founder Linda Speldewinde. Speldewinde discussed the significance of the event, and mentioned that it is part of AOD’s successful series of collaborations with international entities, world-famed design academia and global influencers in the business of creativity. The exhibition was first conceptualised based on the thinking that an insight into Italy’s creative legacy and how the country has built itself a unique identity with it, would make for an interesting exhibit in Sri Lanka, given that Sri Lanka is at a decisive time in its evolution where a new national identity is being formed. 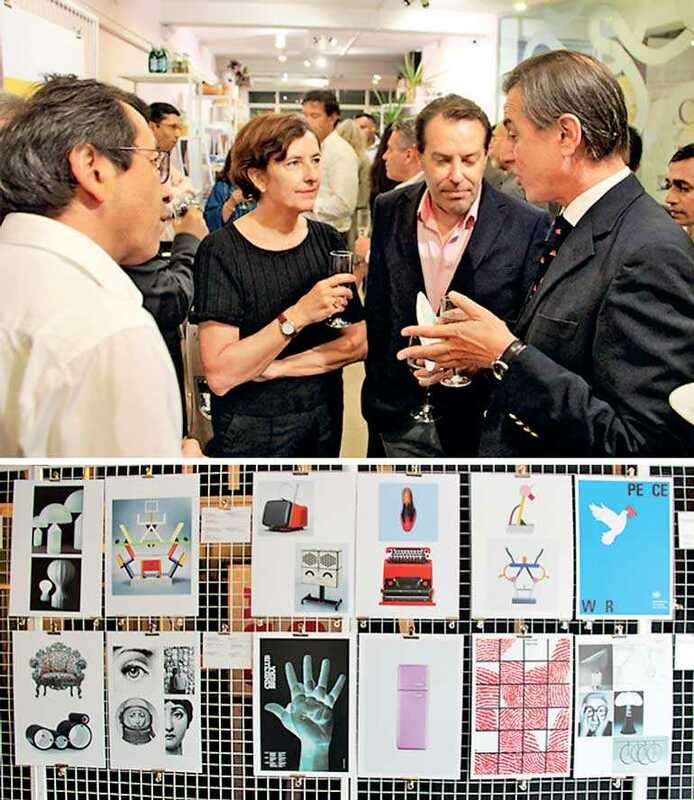 AOD’s international team of academics and curators took this thinking forward and the exhibition highlighted the most iconic elements, the leading brands, and the who’s who of Italian design to Sri Lanka. This included industrial design era innovations like the Vespa and legendary designers like Prada that put Italy in the map in terms of creativity. AOD’s Events Director, British designer and curator Karen MacLeod stated that Italy’s creative evolution was one of the most fascinating in the world, considering that it is one of the rare few countries where the creative arts received major support from the state and the commercial world for centuries, allowing a thriving creative culture to take root there. She also said that the exhibition’s curation was based on in-depth research and its presentation was handled by a mix of international and local designers whose understanding of global design cultures had a significant impact on the final outcome of the event. The Iconic Italian Design Exhibition was well received by its audience and was applauded as a fantastic merger between academic and diplomatic dynamics that truly pushed forward the boundaries of how education can be used to create new understandings, share ideas and even deepen international relationships. For more information on more unusual collaborations between AOD and diplomatic missions and to establish future partnerships, reach 0115867772/3 or www.aod.lk.